My new radio show about animals, a longtime dream of mine, goes live today on WBTNAm 1370, a community radio station in Bennington, Vt. The broadcast will be live-streamed from anywhere with just a click, I very much welcome calls. In the new world, any radio broadcast can be or is a national broadcast. The internet is a boundary crusher. WBTN is a struggling community radio station, I am hoping this broadcast will not only be meaningful for me, but will help the station get back on its feet, they have been neglected for a long while, they need just about everything. I have about 40 questions that have been e-mailed to me by my blog readers, I will take the first minutes of the show to read some of them and answer them as best I can. I even have my own theme music, Van Morrison’s wonderful “Bright Side Of The Road,” one of my favorite songs. 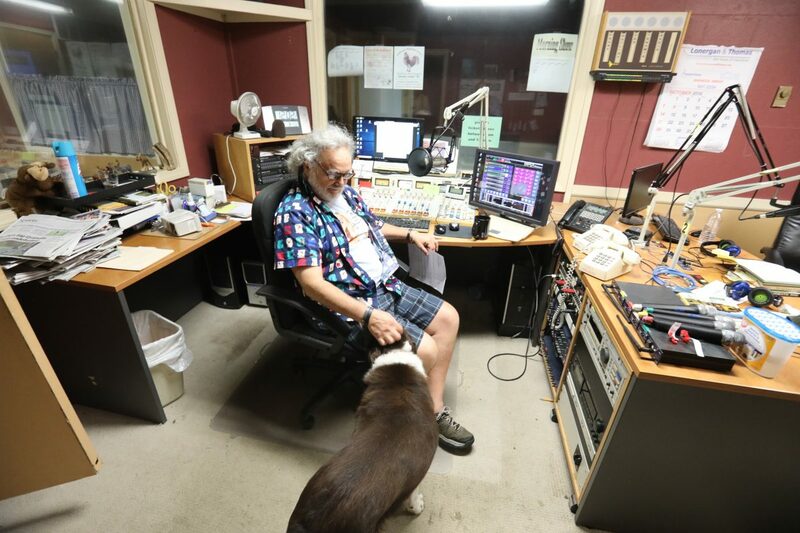 The theme and show intro was put together by the station’s Executive Director and only visible employee, Thomas Toscano (photo above), an opera singer, conductor and composer who has devoted much of his life to saving WBTN. I hope he makes it. I hope I can help, he has been very enthusiastic about my show. My idea for the broadcast is to be one of the first, if not the first, intelligent shows about dogs, cats and other animals. I want the show to be a thoughtful conversation between me and you, not a raging argument. I think this show is necessary. I think animals deserve a thoughtful and open discussion of their lives and problems. The animal world, like the political world, has been polarized by polarizing and arrogant ideologues and people who believe everything they read online must be true. We can do better than that, and we will, for as long as it lasts. The first topic I want to take up today is the subject of vaccinations, one of the most controversial topics in the pet world. I’ve been researching it all week. I have lots of others in the pile. You can donate to the station online if you wish to support it or my show. Or you can send a check to WBTN, 407 Harwood Hill, Bennington, Vt., 05201. I hope the Army Of Good will join me in helping them survive. There are very few places in America now where ordinary people’s voices can be heard on any media, our culture is being Corporatized by big companies and big government. Red is coming with me. I hope to hear from you, I hope you can listen, or check in at 5 p.m., when the show will be repeated. You can hear it live here. Just click on “live.” This show will be broadcast every Wednesday, 1 to 3 p.m.